Personally I've never fancied the flamer weapons. 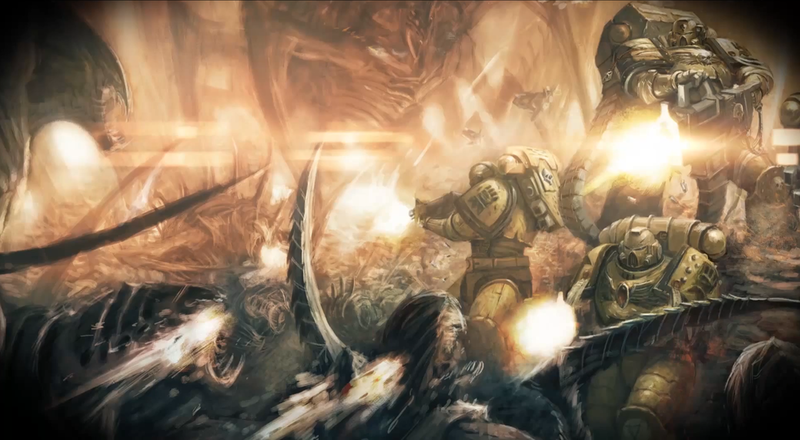 My personal favorite has always been the Heavy Bolter, especially when used at relatively close range. Heavy Plasma is a close second, though. Are you talking about the THQ game? I LOVE using the Heavy Bolter to blast those green bastards to Hell. My guy is going to (hopefully) have a chainsword, bolt pistol (or infernus pistol), and a combat blade. Yeah...the Dawn of War games, but also in the WH40k: SPACE MARINE "multiplayer". My suit is going to be sporting a heavy plasma, however. We Death Company shun such weapons. We prefer the 'in your face' approach. Yeah bro. You gonna join us? 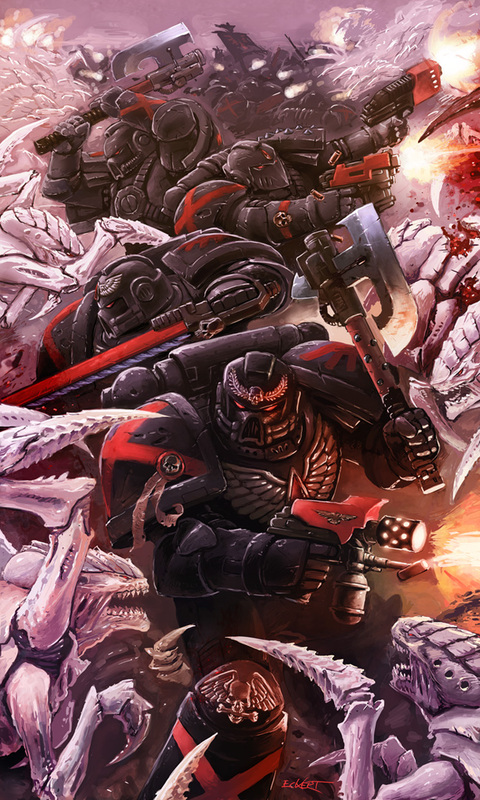 Either way - PURGE THE XENOS!!!!!!! BY MY FURY YOU SHALL KNOW THE EMPEROR'S NAME! Oh...and I brought some friends. I'll be honest: If the Imperial Fists have a hero chaplain, I am unaware of him. 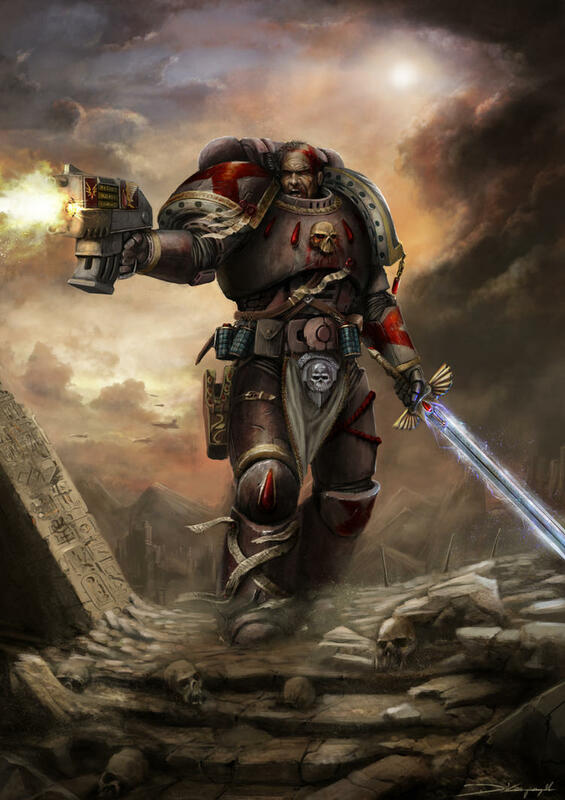 I know that the Fists are (now) "astartes compliant"...but that doesn't mean it bugs me that I see codices for White Scars, Dark Angels, Blood Angels, and Space Wolves......then die a little inside. Even the second-found'ers got a supplement! In any case, I'm now dead set on making a second suit of an Imperial Fists terminator chaplain. My mind is a blur with ideas.